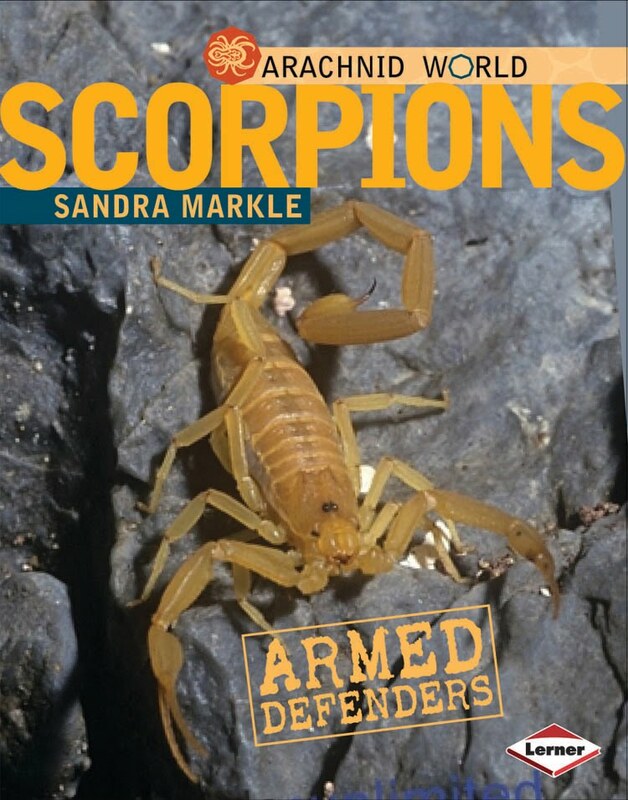 Scorpions: Armed Defenders is an extremely educational book teaching you all there is to know about Scorpions. With over 2000 types of the hard shelled arachnids, this book walks you through such things as the world of an arachnid, detailed pictures of the outer/inner anatomy, hunting, mating and even their defenses, each page is sure to inform and enrapture the reader. Includes many photo's of different types of Scorpions in their various states of life and environment, with photos of the newborn scorplings riding on their mothers back, their shedded exo-skeletons and more, this book is a definite benefit to the scientific minds in us all. I would recommend that both school/public libraries keep this on their shelves, as well, I believe those folks who homeschool would find this beneficial for teaching their children about the rudimentaries of Scorpions and how they interact on the planet. The book also lists other Arachnid resources in case you wish to take your learning to a deeper level, a glossary of terms for the beginner and much more. Watch out for those tough arachnids with poisonous tails—they are scorpions! 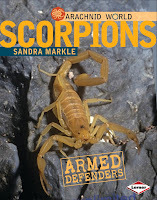 In this book, you will learn how scorpions are similar to and different from other arachnids. Close-up photographs and diagrams reveal extraordinary details about the scorpion's body both inside and out. And a hands-on activity reveals how a scorpion's senses help it find its prey. Learn more about this fascinating member of nature's Arachnid World.